Just below Twin Falls in Yankee Boy Basin, orange paintbrush, one of Colorado’s most vibrant wildflowers, blooms along the stream’s edge. 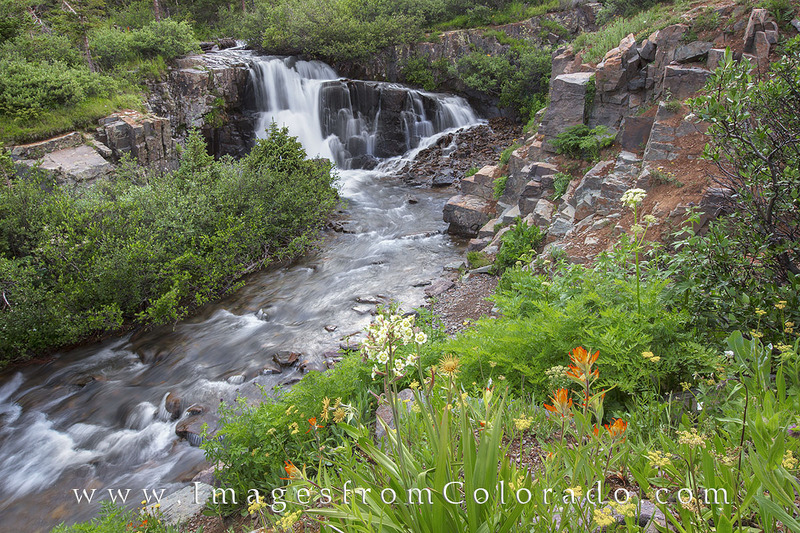 This area is known for its summer blooms, and is only about a 9 mile 4WD road from Ouray to reach this beautiful location in the San Juan Mountains. Photo © copyright by Rob Greebon.